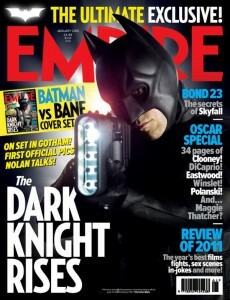 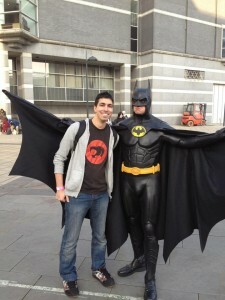 With the January edition of Empire Magazine fans get another preview of the next Batman movie the Dark Knight Rises. 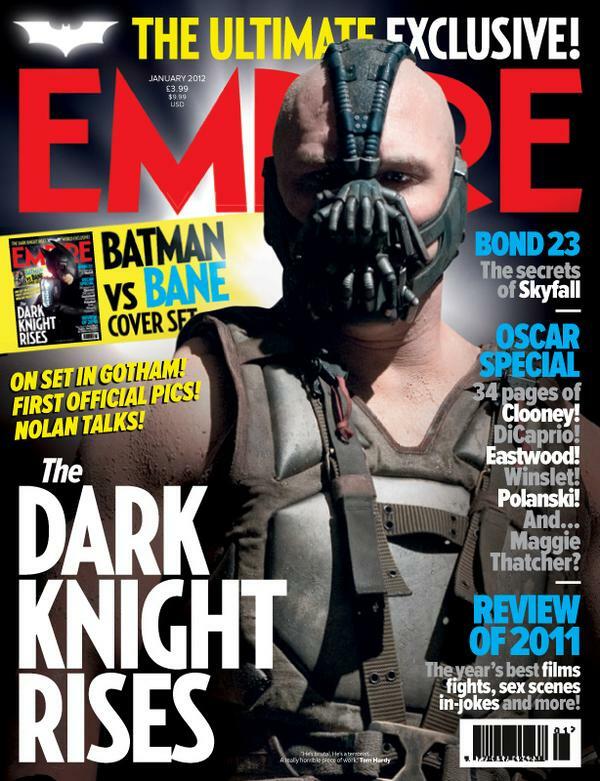 Along with the new pictures fans will get a few spoilers from Nolan himself. 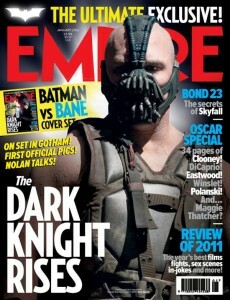 As far as spoilers go fans get an insight into what events made Bane the international super terrorist he is today. The Bane mask is also keeping him alive by feeding him oxygenated pain killers. 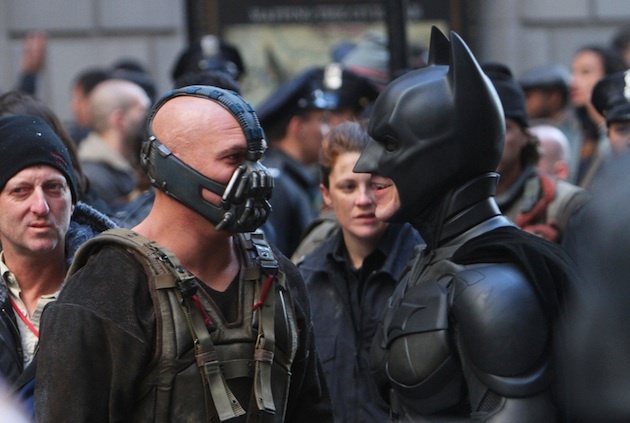 The Dark Knight Rises also continues eight years after The last movie and leaves Bruce Wayne and Commissioner Gordon in a much less safe world. You never know, eight years on from the last movie would almost make Robin and Batgirl a possibility. 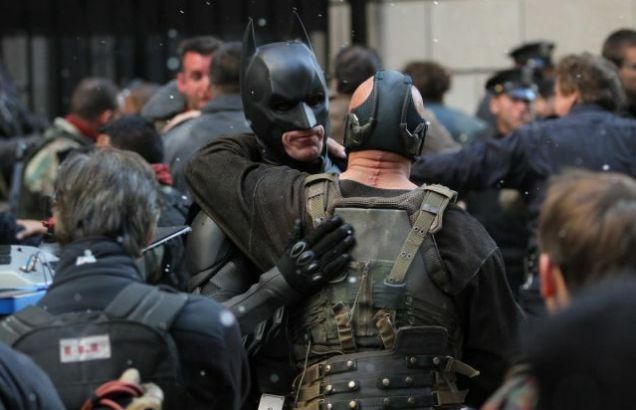 Not as a featured character but they could very well appear in the background. The next trailer will feature before the IMAX version of Mission Impossible 3. 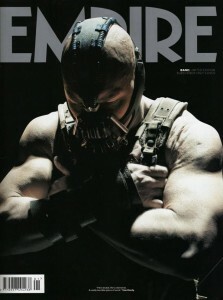 From what I can gather it’s an eight minute trailer which runs with the origin of Bane for the first six minutes. 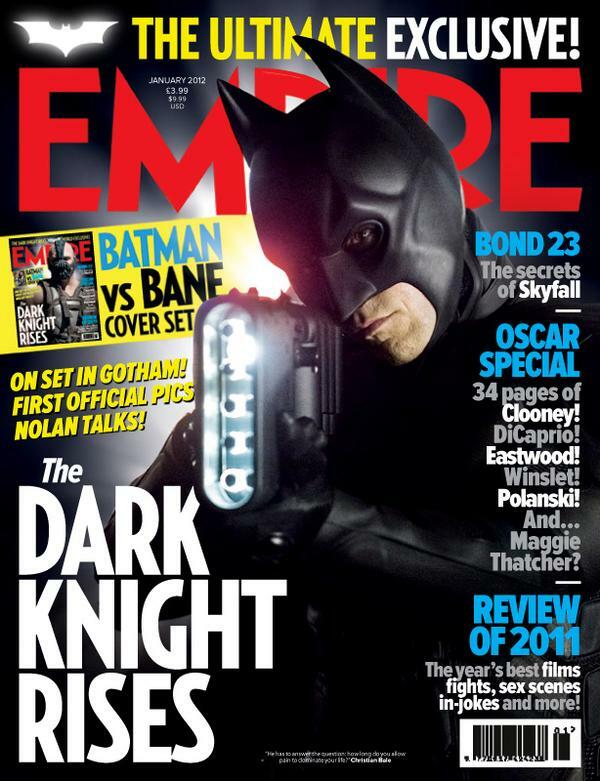 If you don’t want to wait for that pop back and we should have a decent copy of the extended trailer soon. For your local Batman 3 Release date it’s going to be a mid June release in most places.